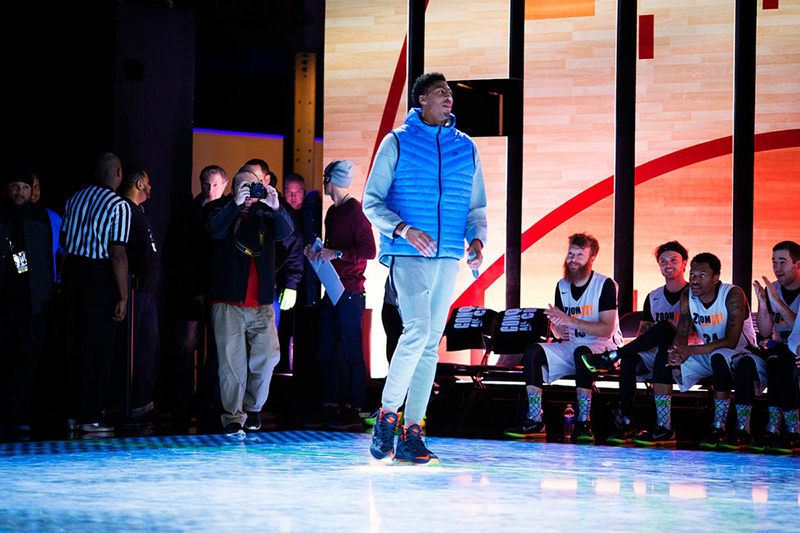 Throughout All-Star Weekend, Nike has rebranded New York City as ‘Zoom City’ with a number of special events to help welcome the NBA’s All-Star Game back to NYC for the first time since 1998. 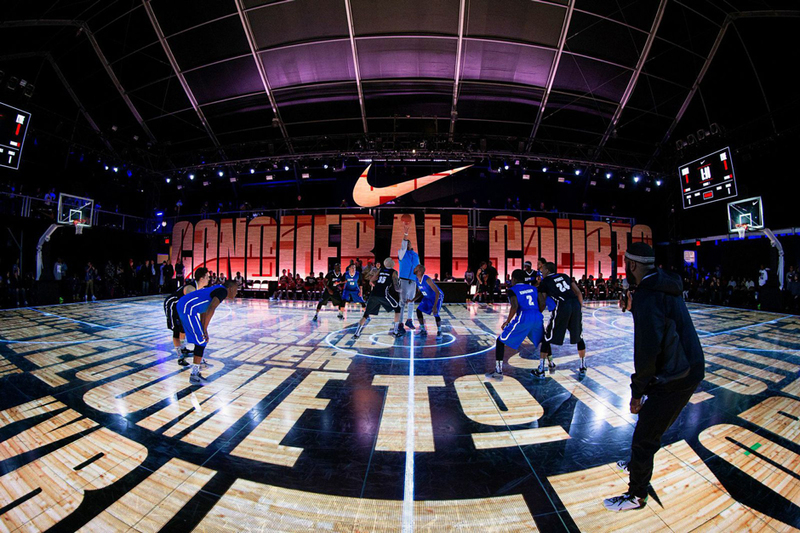 Their latest endeavor – the Nike Zoom City Classic Basketball Tournament. 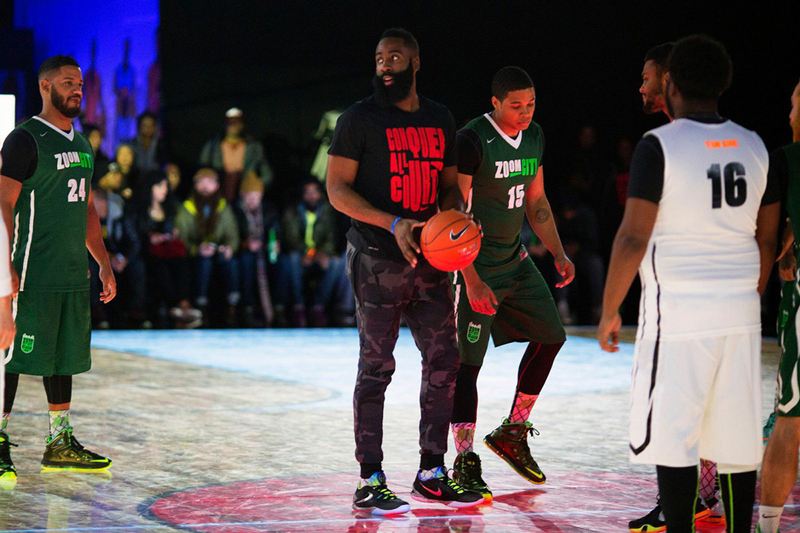 6 teams faced off in a round robin tournament featuring squads representing Lebron James, Kevin Durant, Kobe Bryant, Kyrie Irving, James Harden, and Anthony Davis. 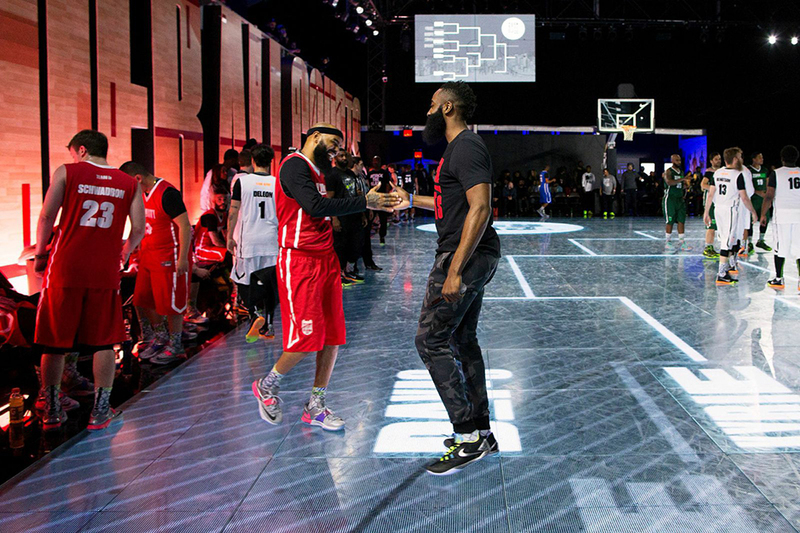 AD and The Beard himself even showed up to watch the likes of J.Cole, Stalley, and Common hoop on that brand new LED basketball court representing the future of the game. 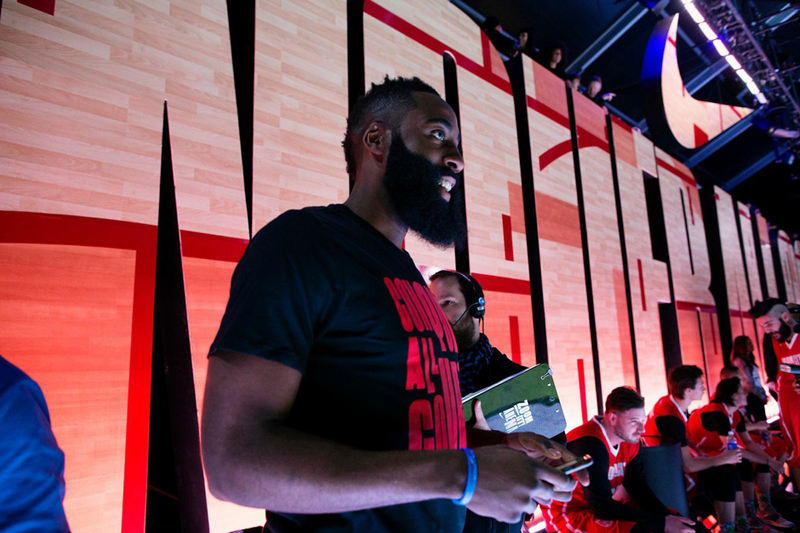 Check out a brief recap below and be sure to check out a full rundown of upcoming All-Star Weekend Events here. Anthony DavisJames HadenKD 7 "All-Star"Kobe 10Kobe 10 "All-Star"Kyrie 1Kyrie 1 All-StarLeBron 12 "All-Star"Nike HyperchaseNike KD 7Nike KD 7 "All-Star"Nike Kobe 10Nike Kobe 10 "All-Star"Nike Kyrie 1Nike Kyrie 1 All-StarNike LeBron 12Nike LeBron 12 "All-Star"